Yesterday established a round of profit-taking after Monday's breakouts had suggested something more positive in the works. Unfortunately, another round of selling ranking as higher volume distribution left indices in a more precarious state. 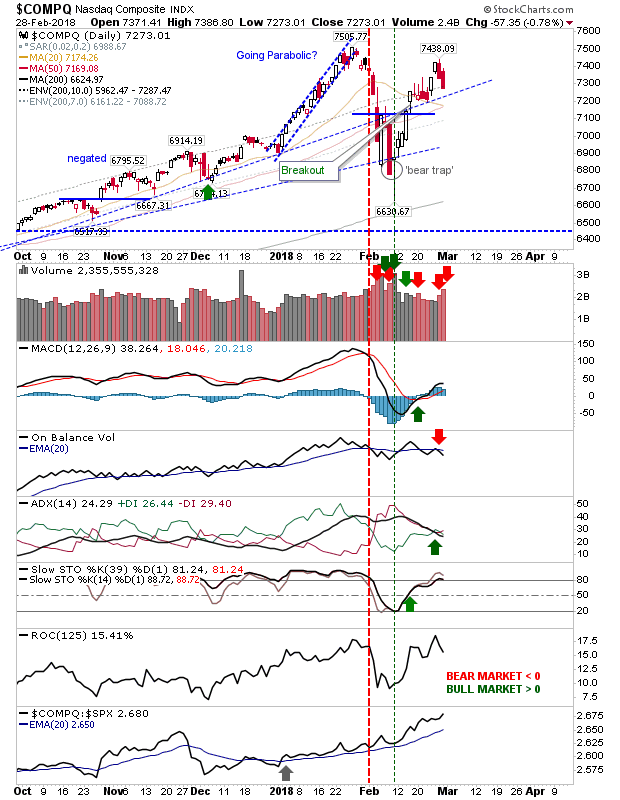 The Semiconductor Index had come close to tagging 1,400 but the index looks to have confirmed a bearish 'evening' star as part of a double top. 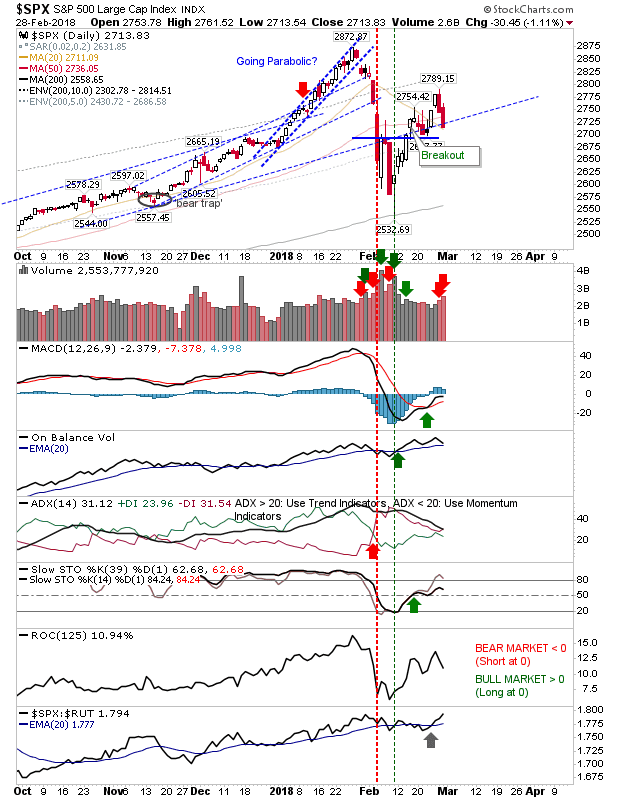 A drop below 1,340 would send bulls running to the hills and open up tests of the slower rising channel and 200-day MA. The S&P fell back inside the breakout consolidation but it hasn't yet reversed said breakout. Another days worth of selling would probably be enough to kill it and really put the cat amongst the pigeons. 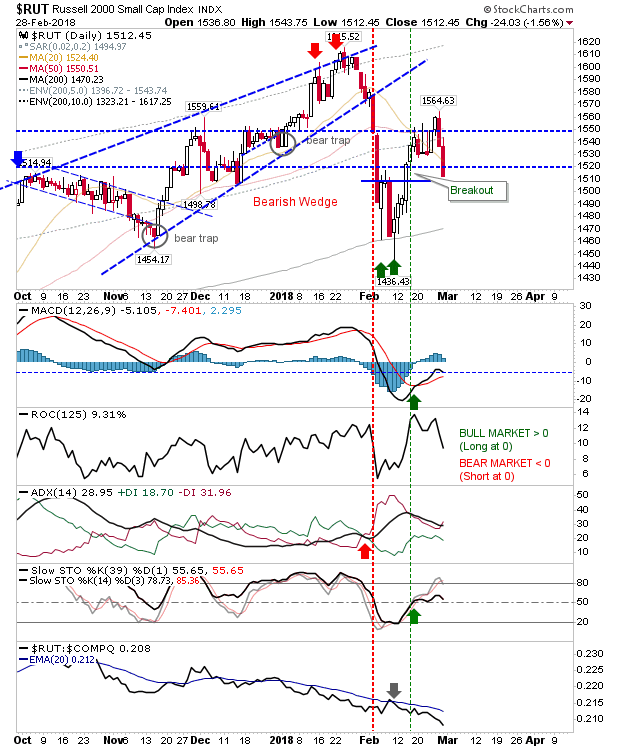 The Nasdaq held up better in the face of selling with technicals hanging on. Relative performance managed a new swing high in the process. But the same could not be said of the Russell 2000 as relative performance accelerated lower. 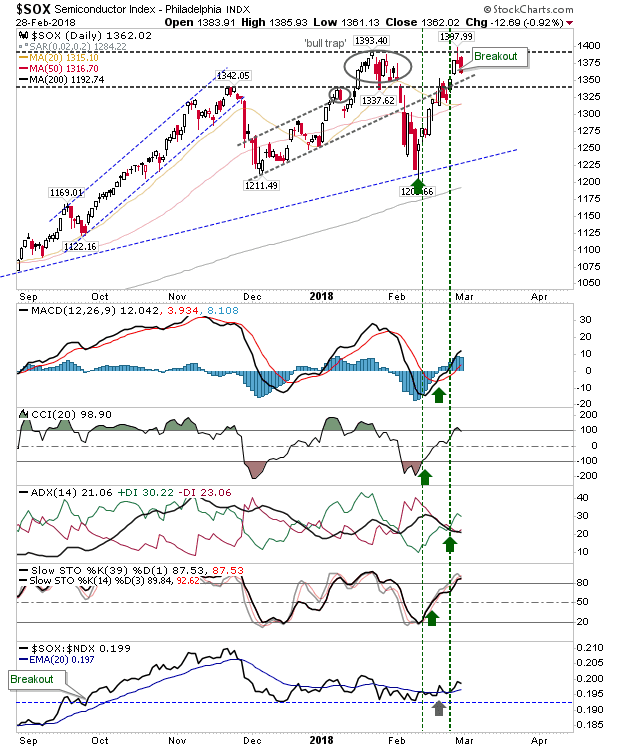 The index is struggling and a third test of the 200-day MA - should it occur (and probably will) - is unlikely to hold. For tomorrow, longs will not want to see a third day of selling as this will simply embolden shorts and keep any potential buyers on the sidelines.